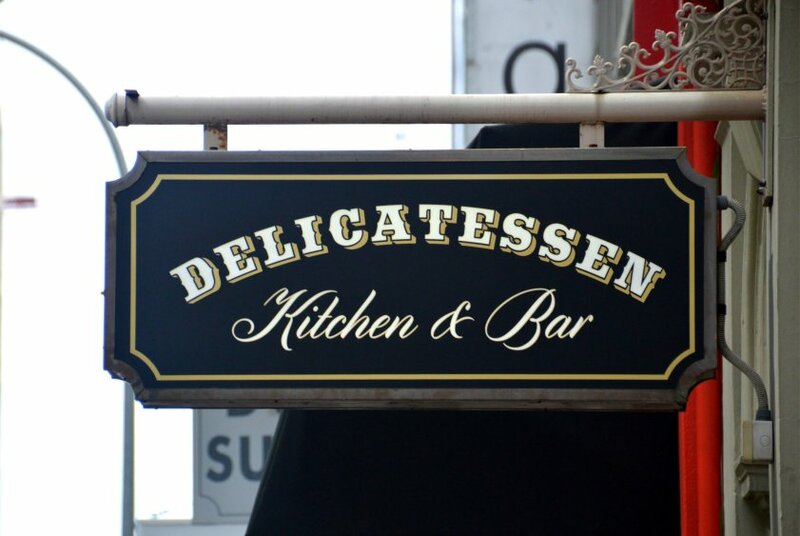 The newest bar and eatery to open it’s doors in Adelaide is Delicatessen Kitchen and Bar. 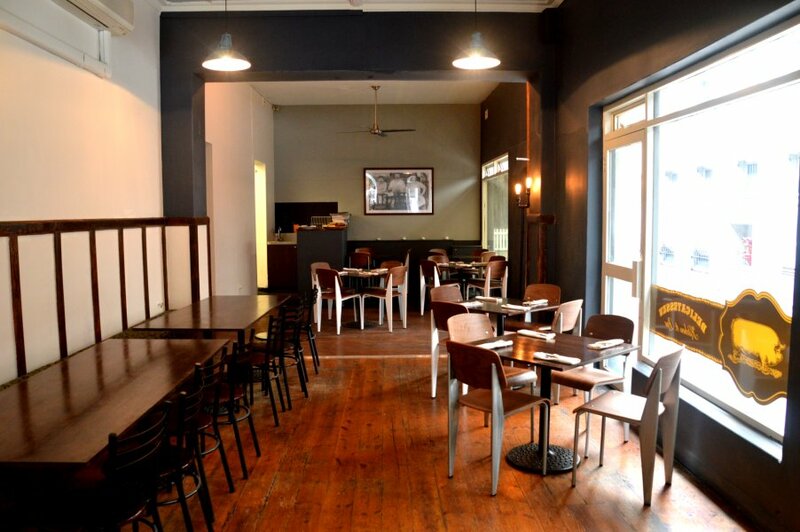 Unlike other bars that serve simple snacks like toasties, there’s a strong focus on providing quality French inspired cuisine to complement your drink of choice. Their wine list is predominantly Australian, however, they have a few French offerings to correspond with the theme of the place. The highlight of this place is the gorgeous modern French inspired bar. The unique copper benchtop is sleek, stylish and acts as a centre piece in the room. 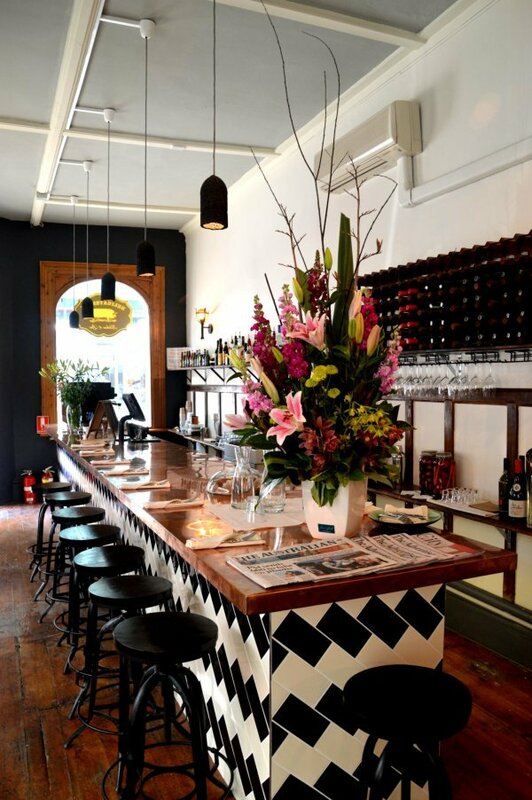 The use of black, whites and browns are prominent, and the diagonal tiling along the island of the bar adds a touch of elegance. The dining area has more of a Western American feel. The seating is a combination of low lying stools and regular chairs with space for just over 50 people to sit down. Situated in a long and narrow floor plan on a convenient corner position, there’s an abundance of natural light that flows into the place. 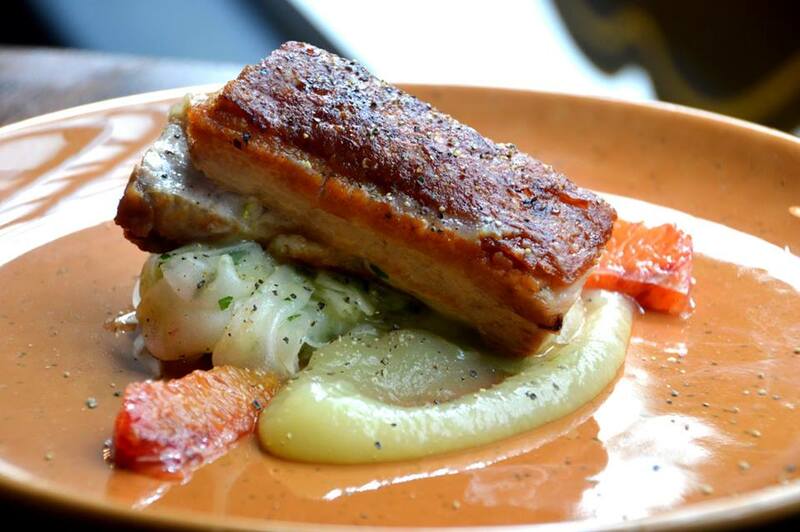 For lunch I had the Roast Pork Belly with shaved fennel, apple puree and orange. The dish arrived 20 minutes after ordering and was very nicely presented. The pork belly was of a nice size, and it was well marinated, tender and succulent. The meat wasn’t too fatty and it simply fell apart with ease. The skin was a lovely golden brown with a perfect crispy crackling. The dish was well balanced with the intense licorice flavour of the shaved fennel, the natural sweetness of the apple puree and the strong notes of citrus from the orange. The staff were friendly and sociable, and the service was very good. There were certain touches like the cloth napkins and the table service which gave this place more of an upmarket feel. If it wasn’t for the low lying bar stool I was sitting at, I could have mistaken this place for a fine dining establishment. The atmosphere was relaxed, although there were few people inside the place at the time. The menu I was looking at was their combined lunch and dinner menu. I know many places like to do this, but I think $26 for a meal at lunch time is a tad expensive. The cost my meal was $15, which was good value considering the presentation, quality, taste and serving size of the dish. This place has a lot going for it and I look forward to coming back and trying some of their other dishes on offer.